The maximum today was 35C – a bit hotter than we were expecting – and the island is very dry, but the air is pure and free from pollution and the roads and beaches are un-crowded. Highlights … beautiful views across Backstairs Passage from Cape Willoughby Lighthouse and then a delicious lunch at Dudley Cellar Door. 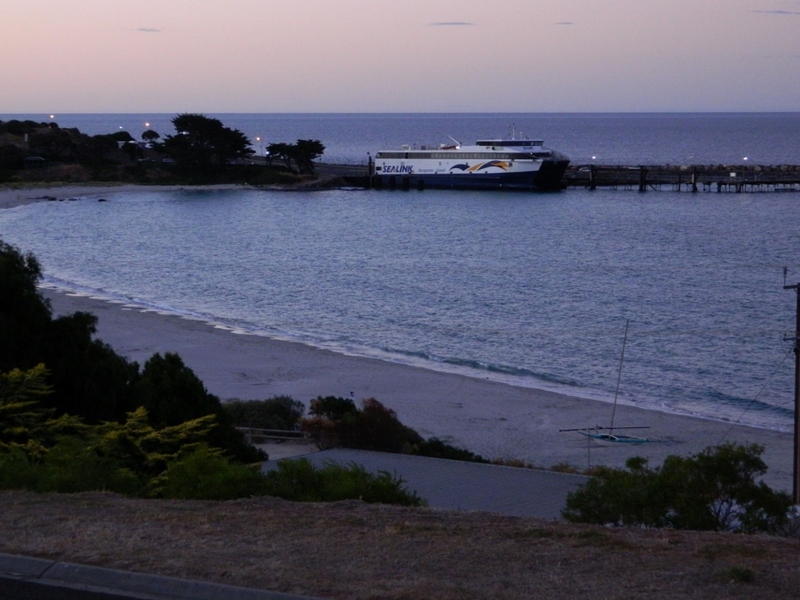 I would normally run a mile from a pizza topped with fish and seafood dressing, but their Whiting Pizza actually tasted rather good, and the view from the tasting room has to be one of the best in Australia. A paddle and a pelican sighting at Baudin Beach and an expedition to Island Pure Sheep Dairy for cheese, yoghurt and labneh finished off our day.